In the older days of wrestling, leaving the ring was sacrosanct. The ref would 10 count and a wrestler would lose the match, prompting many to keep the action in the ring. A lot of that changed during the Attitude era of WWE, culminating in what was perhaps one of the greatest matches of all-time in Undertaker vs. Mankind and a giant cage. Those two wrestlers proved that exciting things could happen outside the ring and from that point forward it was never safe to sit at the Spanish announcers' table. Image Comics must be wrestling fans, because they also know that frenetic things happen outside the ring, which is why they're launching Ringside on October 14 as a sneak peak in The Walking Dead #147. The issue is written by Joe Keatinge and illustrated by Nick Barber and is an ensemble drama set around the world of professional wrestling. Ringside explores the diverse relationships within professional wrestling as art conflicts with industry, fact conflicts with fiction and, overall, delves into how far people are willing to go for what they believe in, no matter how violent the result. As the series progresses perspectives will shift from the wrestlers themselves, the staff they work with, the suits in charge, and the fans cheering them all on. 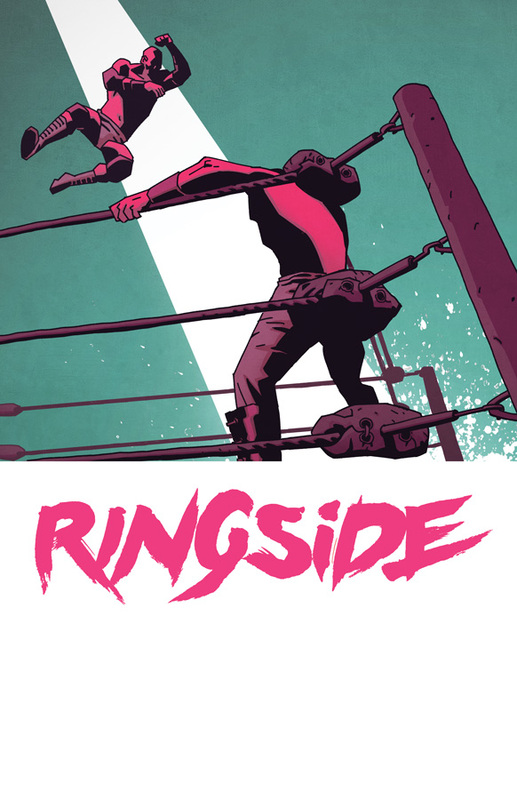 Ringside #1 (Diamond Code SEP150595) hits stores on Wednesday, November 25th. Final order cutoff deadline for retailers is Monday, November 2nd. Full press release below.